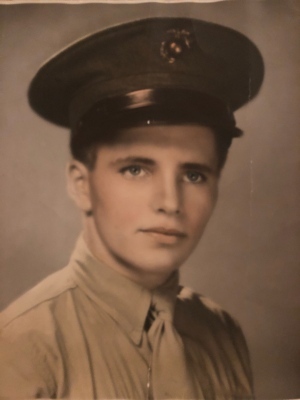 Charles J. McCabe 92 of South Yarmouth died Monday February 4, 2019 at the Cape Heritage Nursing and Rehabilitation Center in Sandwich. Charles became an educator, first traveling to Europe with the military to teach the families of U.S. servicemen in Great Britain and Germany before settling down as a beloved History & Civics teacher at the prestigious Boston Latin School, mentoring many of the city's best and brightest students for over 30 years. Outside of teaching he also held several managerial positions with the Metropolitan District Commission. During this time he raised a family of his own in Stoughton where he was very active with his children, especially in boxing, and coaching Little League baseball for many years until retiring to Cape Cod 20 years ago, where he was an avid golfer. He could be found on the golf course year round on any given day, often playing multiple rounds and winning numerous league championships at the Bass River & Bayberry Hills golf clubs in Yarmouth. He was deeply loved and will be sorely missed by all. In addition to his wife, Mr. McCabe is survived by five sons, Sean & his partner, Tiffany LoDico of Centerville, Michael and his wife, Kimberly of East Sandwich, Charles J. Jr of Boston, Colin and his wife, Jill of Burlington, and Matthew and his wife, Jennifer of Canton; a daughter, Meaghan Mallon and her husband, Joseph of Forestdale; two sisters, Anne St. George of Punta Gorda, FL and Helen Norwood of Vero Beach, FL; thirteen grandchildren, Kyra, Kelsea, Cami, Ella, Timothy, Connor, Devin, Kayleigh, Allie, Emily, Olivia, Madison McCabe, and Maggie Mallon; as well as dozens of favorite nieces and nephews. In addition to his parents, he was predeceased by two brothers, Leo and Robert McCabe and his sister, Margaret Driscoll. McCabes and extended family, Please accept our condolences at the passing of Uncle Charlie. Growing up in on the South Shore, we visited him every Christmas at family gatherings for about 15 years and I'll remember vividly my endless fascination and awe at his gruff, engaging, spirited play and banter. Glad my own kids could meet him a few years ago. Mike and Sean, you guys were amazing with your father, he really raised you guys right! He's at pease now. God Bless. The Fistori Family. Dear Beth and family, My deepest sympathy. My thoughts and prayers are also with you. My condolences for all the McCabe family. Dont make them like him anymore!